Dr.Anil - Marketing Musings: 13th article published in HANS INDIA (9th August 2014). 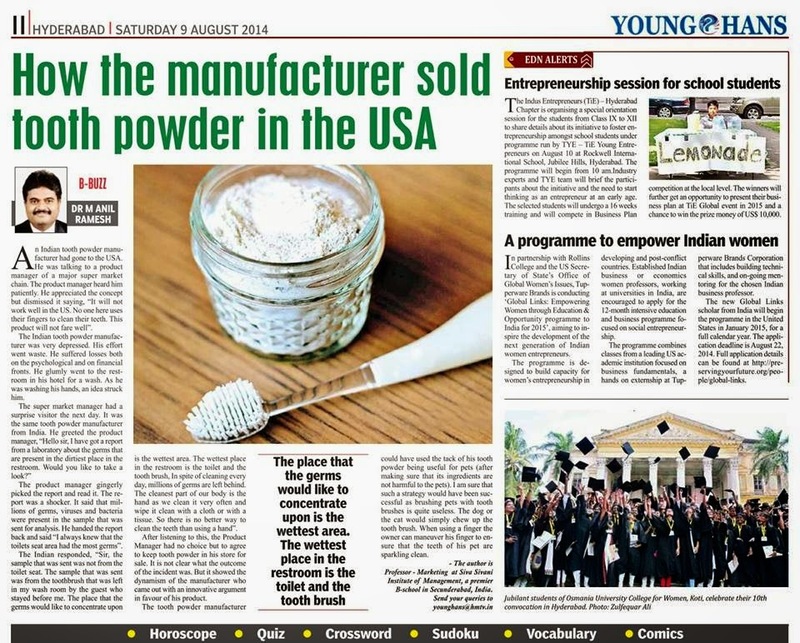 It is an article titled "How the Manufacturer Sold tooth powder in the USA""
13th article published in HANS INDIA (9th August 2014). It is an article titled "How the Manufacturer Sold tooth powder in the USA""
13th article published in HANS INDIA (9th August 2014). It is an article titled "How the Manufacturer Sold tooth powder in the USA"